Daily Beast writer Buzz Bissinger says Piers Morgan should “pop” Alex Jones with a semi-automatic weapon. This call to violence from those demanding gun control is nothing new. 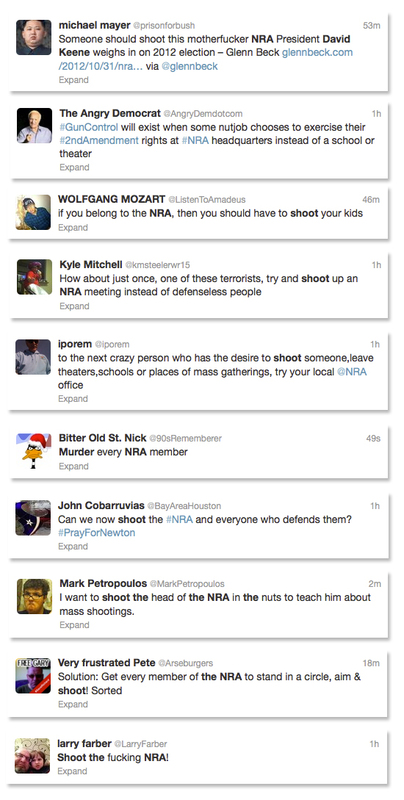 Shortly after the Sandy Hook shooting massacre, advocates for firearms restrictions flooded Twitter and other mediums, demanding the murder of the NRA president and other NRA supporters.